The optimist reminds us that the St. Louis Cardinals were in the wild card hunt until the final week and are showing improvement, while the pessimist notes the club finished in third place for the second consecutive year and missed the playoffs a third straight time. Our annual season recap, of 6,000 words, follows. This is the first installment of our annual series recapping the recently-completed season for the St. Louis Cardinals. Part 1 begins with a quick summary, before we go into significant detail on off-season moves, spring training and the regular season, month by month. Part 2 of this annual recap, which would have covered the Cardinals in the post-season, has been canceled for obvious reasons for the third consecutive year. The 2018 Cardinals reported to spring training camp with an underdog label – due to the Chicago Cubs having won two consecutive division titles, coupled with the upstart Milwaukee Brewers having pushed them into third place in 2017. After a busy off-season in the trade and free agent markets, St. Louis played well in the spring, but it did not carry over into the regular season. Winning just one of their first four series, the Cardinals were playing catch-up from the very start and only spent one week alone in first place – in early May. From Memorial Day on, the Cardinals were mired in either third place or fourth, except for a brief return to second place in late August. For the third straight year, the Cardinals reset their sight on claiming one of the two Wild Cards and showed improvement following the dismissal of manager Mike Matheny and hitting coaches John Mabry and Bill Mueller. Those moves occurred on July 15 with the Cards one game over .500. However, following a season-best 22-6 August under new manager Mike Shildt, their chances were crushed in late September with a stumbling finish much like in 2017. To complete the 12-15 September and end the season, St. Louis went a dismal 1-5, swept at home by eventual division-winning Milwaukee and losing the final series at wild card Chicago. After the Cubs both clinched the division and eliminated the Cards at Busch Stadium in 2017, this time it was the Brewers who celebrated their playoff berth in St. Louis’ visitors’ clubhouse. St. Louis finished three games out in the race for the second wild card, missing the playoffs for the third consecutive season after five straight appearances. The club ended 88-74, up five wins from the year before, but not enough in a changing world where tanking teams have devalued victories. Last fall, the club said goodbye to six players, including five pitchers – Zach Duke, Lance Lynn, Juan Nicasio, Seung-hwan Oh and Trevor Rosenthal – plus reserve catcher Alberto Rosario. None were apparently asked back. In first of a series of winter trades that redefined the roster, on December 1, the Cards sent 2016 All-Star shortstop Aledmys Diaz to Toronto. Two weeks later, after failing in a complicated and highly-public attempt to convince reigning National League MVP Giancarlo Stanton to accept a trade to St. Louis, the Cardinals instead acquired his Miami teammate, Gold Glove Award-winning outfielder Marcell Ozuna, for four prospects. Later that same day, St. Louis announced that outfielder Stephen Piscotty was dealt to Oakland for infield prospects Yairo Muñoz and Max Schrock. The Cardinals’ work in free agency was more low-key, starting with the December signing of Japanese import Miles Mikolas on a two-year deal to step into Lynn’s vacated rotation spot. The next day, the club announced the signing of veteran reliever Luke Gregerson, the presumed new closer, also for two years. 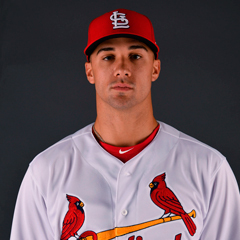 In mid-January, the Cards acquired reliever Dominic Leone and pitching prospect Conner Greene from Toronto for outfielder Randal Grichuk. These moves led to a new defensive alignment with Ozuna in left, Tommy Pham in center and Dexter Fowler moving to right. 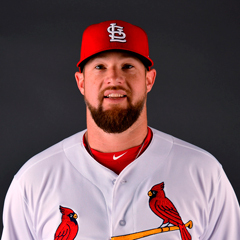 The rebuilding of the bullpen continued as veteran free agent Bud Norris inked a one-year contract just as spring camp opened. For the third year in a row, the Cardinals added a journeyman free agent catcher on a minor league contract. 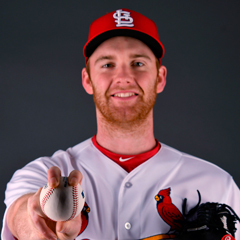 However, it was not expected at the time of his signing that Francisco Peña would be added to the big-league roster at the end of spring training as had been telegraphed with Eric Fryer the prior two springs. It seems there is a major contract announcement each spring and so it was in 2018. 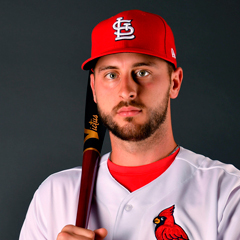 On March 5, the Cardinals presented a six-year, $26 million deal to shortstop Paul DeJong that also includes two option years. At that point, the 24-year old had less than one year in the majors. Multiple changes were made in the coaching staff from 2017. After two years away, long-time third base coach and infield instructor Jose Oquendo was convinced to return. Team Hall of Famer Willie McGee was also brought onto the big league staff. Like Oquendo, McGee had been working with minor leaguers last season. The two moves were wildly popular with fans. Both pitching coaches, Derek Lilliquist and Blaise Ilsley, were let go, after six and five years, respectively, in their jobs. They were replaced by veteran MLB pitching coach Mike Maddux and internal promotion Bryan Eversgerd, with the latter serving as the new bullpen coach. The primary injury concern during camp was the shoulder of Matt Carpenter, which limited him to just 11 Grapefruit League games, mostly late. The 32-year old was coming off a 2017 during which he was hampered by back problems. The concern was exacerbated when Jose Martinez’ bat forced his way into the everyday lineup, with the only defensive spot viable for him being first base. That forced Carpenter across the diamond, from where his throws lacked gusto. The injury front was relatively quiet otherwise – until camp was almost over, that is. First Gregerson, then Adam Wainwright went down with hamstring injuries suffered during final-week team drills. They were joined on the 10-day disabled list to open the season by rehabbing Alex Reyes. On the field, the club played reasonably well. Its 17-12-2 record (.586) was down from the record-setting .714 winning percentage the year before, but still represented the fifth winning spring in Matheny’s seven years at the helm. Fan interest was a mixed bag. Spring home attendance was up 4.6 percent from its all-time Jupiter low the year before, but was still the second-lowest average per-game total in the last decade (5,902). Continuing the pattern from at least the prior four years, the pitching led the way, with the fifth-best team ERA in MLB at 3.93. The offense was inconsistent, however, with a .742 OPS that was in the bottom third of MLB, 21st. That compares to 23rd the prior spring at .735. With an announced focus on smarter baserunning repeated for yet another spring, the Cardinals actually did improve. They ranked fifth in MLB with 31 stolen bases and their success rate of 75.6 percent topped the MLB spring average of 70.1 percent. Though the Cards hit just 27 spring home runs, third-fewest in MLB, they did drive the ball into the gaps with frequency. Their 71 doubles were fourth-most and 10 triples tied for ninth. Overall, the team slugging mark of .414 was just 25th, however. Though no one would likely admit it, there were really only a very few open roster spots in camp. Sure, not all names were written in ink, but the leaders at each spot would have had to play their way off the team, which is what happened to Carson Kelly when he was replaced by Peña as the reserve catcher. A year after Jose Martinez was hitting surprise of camp, newcomer Yairo Muñoz took that mantle in 2018. The infielder claimed the last bench spot over the presumed leader, outfielder Harrison Bader. The other pre-camp favored candidate, outfielder Tyler O’Neill, missed most of camp due to multiple injuries and was a non-factor. With the late signing of Norris and the injury to Gregerson, the eight-man bullpen appeared set. 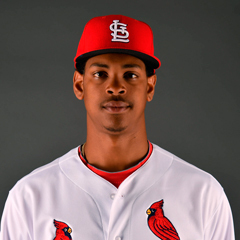 However, in a major surprise, announced while the Cardinals were in Toronto for the final exhibition game, Jordan Hicks was added to the team over returnee John Brebbia. What made the decision all the more stunning was that Hicks had been the first player cut from camp four weeks earlier due to tardiness issues. When all was said and done, the 21-year old’s 100-plus mph gas trumped all, including the fact he had never thrown a pitch in either Double-A or Triple-A. The other unexpected move also involved the return to the big-league roster of another pitcher who earlier had been reassigned to minor league camp. Replacing the injured Wainwright on the Opening Day roster was top prospect Jack Flaherty. With a full 40-man roster as camp closed, the Cardinals needed to make room for Peña and Hicks. They designated for assignment and soon traded infielder Breyvic Valera (Dodgers) and reliever Josh Lucas (Oakland) for prospects. Among minor league mound standouts were prospects John Gant and Mike Mayers, with the latter pitching his way into the Opening Day bullpen. Hitters catching coaches’ eyes included infielder Muñoz and outfielders Bader, Adolis Garcia and Randy Arozorena. Among starters, Luke Weaver and Wainwright posted spring ERAs of 0.55 and 0.82, respectively, with Michael Wacha at a decent 3.32. Newcomer Mikolas shook off a rough start to come in at 4.76. Bringing up the rear as ace Carlos Martinez, who looked indifferent at times while posting a 4.82 spring ERA. Relievers with ERAs under 1.25 included Dominic Leone and Sam Tuivailala. The unheralded star, however, was Mayers, who allowed just two earned runs over 13 innings, both during the final spring series in Montreal. Ryan Sherriff and newcomer Norris had rough springs out of the pen. On the offensive side, Ozuna finished strongly, with a .356 batting average and 13 RBI, tying him with Jose Martinez for the team lead. His four long balls were also the most among Cardinals, same as DeJong. .300 hitters included Bader and Muñoz. Arozarena was 4-for-5 in stolen bases. 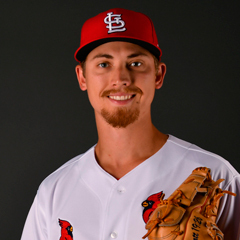 In a bit of a concern, five every-day players who opened the season on the active roster did not hit above .235 in Grapefruit League action – DeJong, Dexter Fowler, Tommy Pham, Kolten Wong and Jedd Gyorko. 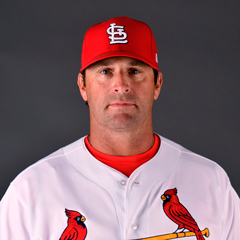 Often criticized for his revolving-door lineups and for riding hot hands, Matheny surprised many by opening the season with a set lineup – for the first couple of weeks, at least. The top three were Fowler, Pham and Carpenter, followed by Ozuna, Jose Martinez and Molina, with DeJong, Wong and the pitcher bringing up the rear. Carlos Martinez was named to make his second Opening Day start, followed by Wacha, Weaver, Mikolas and Flaherty (covering for Wainwright) following in the rotation. The identity of the closer was unclear, though Leone appeared first in line. Other bullpenners to open the year were lefties Brett Cecil and Tyler Lyons, along with Norris, Bowman, Tuivailala, Mayers and Hicks. Reserve hitters were Gyorko, Greg Garcia, Muñoz and Peña. By end of the season, Mike Shildt’s regular lineup was: Carpenter, Martinez, DeJong, Ozuna, Gyorko, Molina, Wong, Bader and the pitcher. The final rotation was Mikolas, Flaherty, Gant, Wainwright and lefty Austin Gomber. Carlos Martinez was closing, set up by Jordan Hicks and Dakota Hudson. In other words, there was significant change from April to September. As the season was barely underway, there was a major announcement, another surprise. On March 31, during the opening series in New York, the club announced the signing of free agent closer Greg Holland to a one-year contract for $14 million plus incentives. Also tied to the deal was the loss of St. Louis’ second-round pick and associated slot bonus in the 2018 draft. The 31-year old was rushed from the minors after a couple of tune-up games but proved to not be ready for ninth-inning duties. Fortunately for the Cardinals, Norris stepped forward and became a stabilizing force in the ninth, with five saves through the end of April. For the third straight season, the Cards did not get out of the gates smartly. In 2018, they lost three of their first four series – going 5-7 against three clubs which also appeared to be of comparable caliber – New York, Arizona and Milwaukee. Fortunately, the woeful Reds appeared on the schedule for seven April games and St. Louis took all seven, briefly powering them into first place at 13-8. The rest of the way, however, St. Louis dropped four of six, including being swept out of Pittsburgh as a 27-year old first-time starter almost no-hit them as the month closed. The 15-12 Cards were 1.5 games back, tied for third place. Injuries were a problem early, as both Cecil and Gyorko went onto the DL during the first week. The latter move created room for Bader to join St. Louis before Memphis even played its first game. Wainwright pushed for his return in time to start the home opener, but before the month was out, was back on the DL with elbow soreness. Carpenter, Wong and Fowler all got off to especially bad starts, each heading into May with a batting average under the Mendoza Line. By the third week of the month, Carpenter was back in his old spot leading off, with Fowler dropped down to sixth in the batting order and Martinez promoted to third. On the positive side, seven of the regular starters had at least 10 RBI on the month, with Wong the only exception. Martinez plated 18, Ozuna 17 and Molina 16. DeJong went deep seven times and Molina launched six. Pham led the team in all slash categories – batting average (.341), OBP (.453), SLG (.511) and OPS (.964). Carlos Martinez paced the rotation with 1.43 ERA in six starts. At the other end, Weaver scuffled to a 5.17 ERA over his half-dozen outings. Veteran relievers Holland (7.36) and Gregerson (9.82) really struggled. Hard-throwing rookie Hicks had a 1.26 mark. 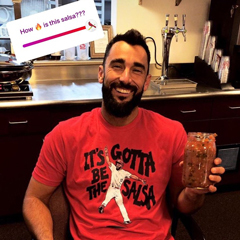 May was known as the month of injury, as nine additional Cardinals joined Reyes on the DL between the fifth and 18th alone. 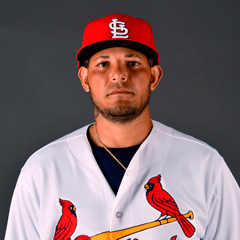 The most serious began with Molina’s painful pelvic injury, followed by a lat strain suffered by Carlos Martinez and a broken hand sustained by DeJong. Wainwright struggled through one start before being placed on dry dock, otherwise known as the 60-day DL. One positive from this was the return (apparently for good) of prospect right-hander Jack Flaherty, who again stepped into the rotation for Wainwright and impressed. The team began the month with a 5-0 showing against the two teams from Chicago. This powered St. Louis into first place, which it held from the fourth through the 12th. However, two losses at home to the Twins and a disappointing 3-3 road trip to San Diego and Minnesota put the Cards back in third place, where they finished the month. May became the team’s second consecutive 15-12 period, but their deficit grew from 1.5 games coming into the month to 4.5 exiting. Worse, as the month closed, more injuries struck. By far, the most devastating occurred on the 30th, when Alex Reyes’ so-promising return ended after just four innings in Milwaukee. The 23-year old right-hander had utterly dominated in four minor league tune-up starts, creating high expectations, but suffered a shoulder injury that required season-ending surgery. The offense was unsteady, with the top hitter at .424 being the rookie Muñoz, filling in for DeJong. Another youngster, Bader, batted .310 as Fowler’s playing time dwindled. Carpenter began his emergence in the second half of May with a team-best 11 doubles and five home runs for the month. Jose Martinez continued to struggle defensively at first, but again paced the team with 13 RBI. Gyorko was next with 12. Pham was the club’s home run leader with six and crossed home the most at 17, but plated only 11 and batted just .195 overall. 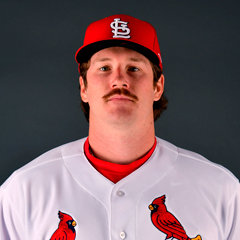 Other Cardinals under the Mendoza Line in May were Fowler (.194), Wong (.164) and fill-in catcher Carson Kelly (.087). The rotation was stellar from top to bottom during May, led by Miles Mikolas (1.89 ERA/5 starts). Other standouts included Michael Wacha (2.02/6), Carlos Martinez (2.19/2), Jack Flaherty (2.22/4) and Luke Weaver (3.33/5). So, you may wonder why the team did not win more games. Well, the bullpen was mirror-image bad, with eight relievers carrying ERAs worse than 6.00 during the month – Greg Holland (12.00), Ryan Sherriff (9.00), Brett Cecil (7.94), Luke Gregerson (7.71), Tyler Lyons (7.36), Dominic Leone (6.75), Matt Bowman (6.35) and John Brebbia (6.17). One way to summarize the 12-15 June is that two infielders closed games on the mound – Jedd Gyorko and Greg Garcia. The team did not win consecutive series all month and in fact, had not since the Chicago success at the very start of May. In the first half of June, St. Louis lost disappointing home series to Miami and San Diego and following the Padres loss, dropped the next two series as well – to the Cubs and Phillies. Perhaps there was no better indicator of the inconsistency than the stretch as the month concluded. The club took two of three over AL Central first-place Cleveland only to be swept at Busch by the NL East-leading Braves, a set that ended on July 1. Despite the below-.500 record, the Cardinals only lost one game in the standings during the month, to 5 ½ back. They spent the entire 30 days in sole possession of third place, but their record was never good enough to move to the top of the wild card heap. 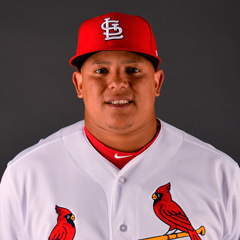 On June 5, both Molina and Carlos Martinez came off the disabled list, yet their highly-anticipated return did not appreciably change the team’s fortunes. Three days later, Lyons returned to the shelf. Holland returned on the 19th, but Bowman began his second DL stint of the month when his finger blisters recurred. 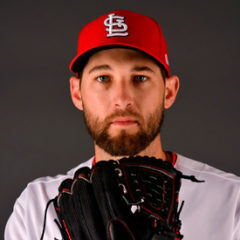 The rotation took a hit on the 21st as Wacha suffered an oblique injury that was originally not thought to be season-ending, but ultimately was. He was replaced in the starting five by John Gant, who went on to perform better than expected, but not as good as Wacha. A month after the rotation led the way, leaks began to spring up in what had been the team’s strength. Here are the starters’ ERAs in June: Weaver and Carlos Martinez – both 6.75 – and Wacha at 4.64. Only steady Mikolas at 2.68 and rookie Flaherty at 3.29 held their own. Conversely, the bullpen had its brief turnaround for the better. Holland returned from time on the DL and tuning in the minors to make five scoreless appearances. Brebbia and Cecil came in under 2.25, Hicks was at 3.09, Mayers at 3.38, Norris at 3.86 with four saves and rookie lefty Austin Gomber at 3.95. The hitters were either very good or very bad during June. The below-.200 club included Fowler (.145), Gyorko (.159) and Pham (.198). At .210, Wong was not much better and with semi-regular playing time, Bader delivered just a .235 mark, but continued to draw praise for his hustle and defense. Ozuna had his best month to date with the team, hitting .333 to go with seven home runs and 21 RBI. Jose Martinez batted .314, tied Ozuna for the top RBI total and struck eight long balls. Carpenter was again himself, with eight doubles and eight homers, 15 walks and 15 RBI, a .313 average and .405 OBP. Everything that occurred in July – and there was plenty – paled in comparison to the firing of Matheny, Mabry and Mueller on the 14th. 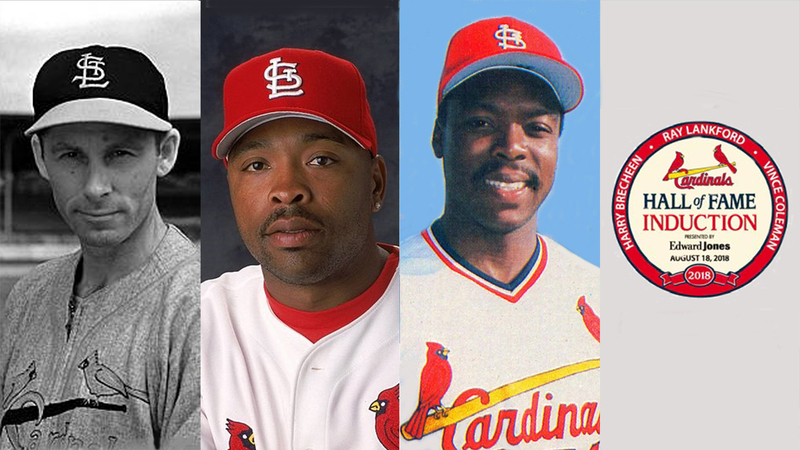 Bench coach Mike Shildt was named interim manager with hitting coaches George Greer and Mark Budaska summoned from the minors along with new bench coach Ron “Pop” Warner. Contrary to what some memories may recall, the team did not immediately change course with Shildt. After a honeymoon win, the Cards dropped five of eight heading out of the break, hitting their season low-water mark at 8.5 games back and in fourth place in the division. Despite dropping to .500 several times, the club did not fall to a losing record and finished the 12-14 month winning three of five. Two Cardinals were named to the National League All-Star Team in 2018 – Mikolas and Molina – with the latter an injury replacement for Buster Posey. The former did not appear in the game as he joined his wife for childbirth. Molina entered the contest as a pinch-hitter and flied out on the first pitch as the AL won, 8-6. Just after the break, Carpenter went on a historic offensive tear, hitting home runs in six straight games, with his three home runs and two doubles on July 20 in Chicago setting a franchise record. Still, St. Louis went just 3-3 during his long-ball outburst. 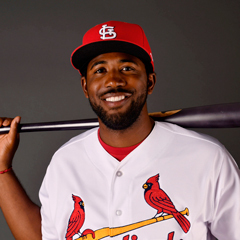 Prior to Matheny’s firing, the media reported issues between Dexter Fowler and the manager, with the right fielder losing playing time to Harrison Bader, but Shildt re-committed to the struggling veteran. Carlos Martinez, who had missed time in May due to a lat strain, went on the disabled list on July 20 with a right oblique strain, said to be minor. After returning for one shortened start on the 30th, the ace was placed back on the DL with what was called a right shoulder strain. When he returned in late August, Martinez was moved to the bullpen for reasons that are still not entirely clear and transitioned into the closer’s role. 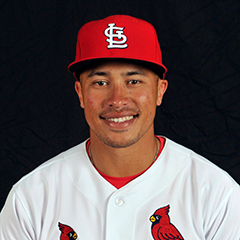 Effective the 22nd, second baseman Kolten Wong hit the DL due to a sore left knee that would dog him the remainder of the season. July 27 marked a day of major changes to the bullpen as failed closer Greg Holland and struggling lefty Tyler Lyons were designated for assignment, Sam Tuivailala was traded to Seattle and Brett Cecil was placed on the DL. Holland was soon released and Lyons finished the season with Memphis. Replacements were prospects Dakota Hudson and Daniel Poncedeleon plus veteran lefty Tyler Webb. On the 29th, the Cardinals traded blocked first baseman Luke Voit and international pool money to the New York Yankees for left-handed reliever Chasen Shreve and minor league right-hander Giovanny Gallegos. Shreve went on to be a below-average contributor to the pen (-0.2 fWAR) while Voit became an unexpected hitting sensation in the Big Apple. 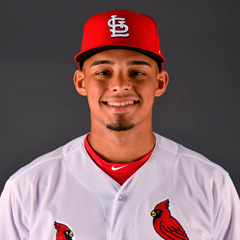 Two days later, Voit’s Memphis teammate, prospect center fielder Oscar Mercado, was dealt to Cleveland for a pair of left-handed hitting minor league outfielders. As the month closed, and the July 31 non-waiver trade deadline passed, the Cardinals sent starting center fielder Tommy Pham and $500,000 in international pool money to the Tampa Bay Rays in exchange for three prospects. The deal was positioned by the front office as a way to open up playing time for rookies Bader and O’Neill and they did not see themselves as having been “sellers”. 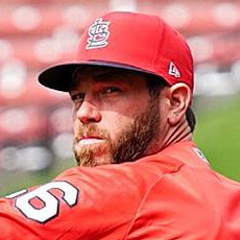 Carpenter not only led the Cardinals offense, but the 32-year old was voted NL Player of the Month for July, as well. He batted .333 (31-for-93) with 22 runs scored, eight doubles, 11 home runs, 21 RBI and 19 walks across 26 games. Among July qualified NL hitters, Carpenter finished 1st in runs, home runs, ex­tra-base hits (19) and slugging pct. (.774), 2nd in on-base pct. (.447), T2nd walks, T4th in doubles, T5th in RBI, and 6th in hits. Other .300-hitting Cardinals in July were Muñoz, Molina, Wong and Jose Martinez. Pham, Muñoz, Molina, Gyorko, Ozuna and Fowler joined Carpenter with double-digit RBI counts. Weaver had his strongest month of a rough season overall, with a rotation-best 3.00 ERA over four starts. Gant, Mikolas and Carlos Martinez all came in between 3.50 and 4.00. On the other side of the coin, the rough season for the relief corps continued as Bowman, Holland, Cecil and Lyons all had July ERAs over 10.00. In their best month of the season, the Cardinals won all nine series while posting a 22-6 record. That included their season-best eight-game winning streak from the 8th through the 15th, followed by a 5-1 West Coast trip. As a point of comparison, the club had not won even five consecutive series at any time in the past three years, let alone nine. During August, St. Louis knocked four games off the Cubs’ division lead (3.5 games at month-end) while improving from fourth to second place and temporarily into the lead for the second wild card. The month began with more roster changes. On the fourth, Wong was activated, but Fowler departed with what turned into a season-ending fracture to his left foot. The next day, the Cardinals claimed pitcher Tyson Ross off waivers from the San Diego Padres and primarily used the veteran in long relief. On the 21st, the Cards claimed first baseman Matt Adams off waivers from the Washington Nationals. Five days later, they released reliever Sherriff, who had been on Memphis’ disabled list. In the final week of the month, the defense and offense were weakened when Wong was placed back on the DL with a hamstring strain and Gyorko went down with a groin strain. The Cardinals Hall of Fame Class of 2018 was inducted on the 18th. From the Modern Era, the fan vote winners were outfielders Vince Coleman and Ray Lankford. The final member of the class was chosen by the Red Ribbon Committee of historians – left-hander Harry “the Cat” Brecheen, who starred in the 1940’s. Among players to make their MLB debuts during the month due to injuries to others were outfielder Adolis Garcia and third baseman Patrick Wisdom. Early in the month, Carpenter was hot again, winning his second NL Player of the Week award in three weeks. The first baseman finished the month with a team-best total of nine home runs, but plated just 16. 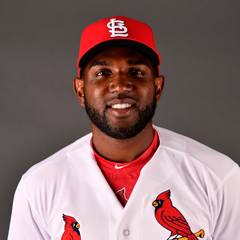 Jose Martinez led the club with 18 RBI, and defensively, spent the vast majority of his time in August and September in right field. Five regulars batted over .300, paced by Martinez at .389 and Wong at .362. Bader led the way with eight doubles. Below the Mendoza Line was Greg Garcia, with DeJong just two ticks above. Flaherty led the rotation with a 4-0 August record and 1.13 ERA and Gomber was 5-0, 2.38. From the bullpen, Norris made his last hurrah, saving eight of nine while logging a 1.86 ERA and Hicks saved three of four chances. Leone (finally healthy), Brebbia and Webb combined for 10 2/3 scoreless innings. Bringing up the rear again were Mayers (6.75 ERA) and Cecil (12.46). Amidst the August euphoria, on the 28th, the Cardinals decided to grant Shildt a three-year contract and remove his interim title. At that point, he had managed just 38 games. There seemed no risk of flight by waiting until the season was over, and if the move was intended to spark the team to even greater heights, it failed. Following the announcement, the club went 15-16 to finish the season on a down note. The 3.5 games the Cardinals needed to make up the division gap on September 1 turned out to be the closest they would get since May, as the club stumbled to the finish line with a 12-15 month. It began with two losses to last-place Cincinnati and a disappointing 3-3 trip to Washington and Detroit. Still, heading into the final week, the Cards held a two-game lead for the second wild card. However, they lost it all with a 1-5 finish against Milwaukee and Chicago, as the defense committed nine errors in the final six contests. Though St. Louis was not officially eliminated until after the second-to-last game of the season, the final-week sweep by the Brewers at Busch Stadium was the real knockout punch, with the tone set by a painful defeat in a very winnable Game 1. By Game 3, Milwaukee had clinched a post-season berth and their players were celebrating in the visitors’ clubhouse. Only the most optimistic thought the Cardinals had a chance to reverse the trend in Chicago, where they dropped two of three. The Cards finished three games out of a share of the second wild card and 7.5 games behind first-place Milwaukee in the division. 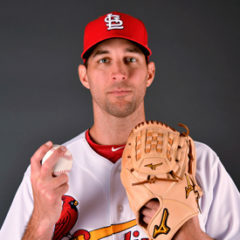 In September, several injured players returned (or in the case of Wacha, tried to, but failed). Wainwright made four starts, of which one was a quality effort, six scoreless innings against the Dodgers. Gyorko returned mid-month, but slumped badly, batting just .227 with four RBI. Ozuna, who battled a shoulder problem all season long, was finally given a brief rest on the disabled list. The left fielder’s weak throws had clearly signaled his shoulder was not right, enabling other teams to take advantage on the bases. The refreshed Ozuna led the offense in the final month, as the club’s only .300 hitter at .306 and with a team-leading seven home runs. DeJong plated 20 and Molina added 18 RBI, despite the latter batting just .200. Below Molina were Carpenter at .170 and Adams at .167. Only slightly better was Bader at .221, though the center fielder was 3-for-3 in steals to lead the team. Mikolas did not fade down the stretch, going 5-0 with a 2.14 September ERA. However, the rest of the rotation – Gant, Wainwright, Flaherty and Gomber – managed just a combined 3-7 record and a 5.71 ERA. Brebbia (0.84 ERA), Carlos Martinez (5-for-5 in saves, 1.93 ERA) and Hudson (2.31), led the relievers, who as a whole, struggled. Those with September ERAs of 6.75 or higher included Leone, Hicks, Cecil, Mayers, Weaver and Norris. That is a lot of bad pitching to try to overcome. Following the season, more coaching changes occurred with third base coach Jose Oquendo and interim co-hitting coach George Greer returning to the minors for 2019. Pop Warner will take over at third base, with Oliver Marmol replacing him as bench coach. 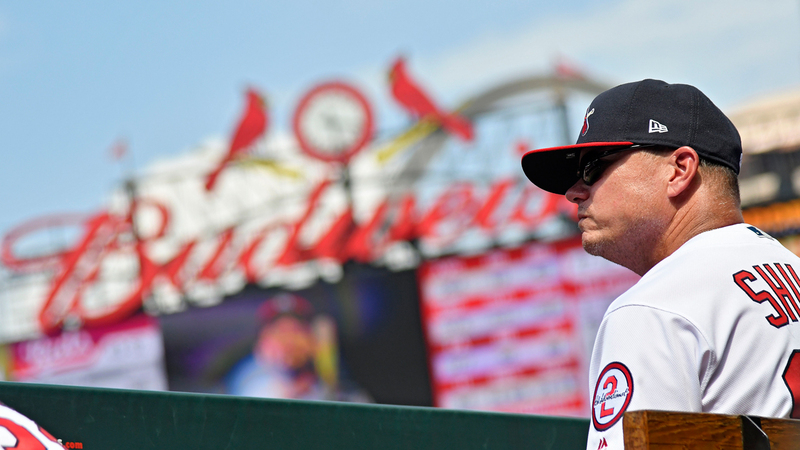 Memphis manager Stubby Clapp is expected to fill one of the two open positions – hitting coach and first base coach. Four Cardinals are poised to test free agency – Adam Wainwright, Bud Norris, Tyson Ross and Matt Adams. However, Wainwright has already struck a deal to return for a 15th season, which will be finalized after the World Series. Fueled by a very strong August, the Cardinals were well positioned to break their two–year non-playoff streak. However, all elements of the team floundered in September. The bullpen sprung a number of additional, larger leaks and the starters other than Mikolas hit the wall. On the other side of the game, the return of defensive lapses and an increased level of strikeouts by the offense came together in a final month failure. The 2018 Cardinals finished in third place, tying 2017 for their worst division showing since 2008. Year-to-year, they increased their total wins by five, but only improved in the division standings by 1.5 games compared 2017. Time in first place was rare, totaling just two weeks, consisting of seven days in a tie for the lead and seven standing alone. Their last day in first place was May 12 and their last day in second place was September 1. Despite all the turmoil, they never had a losing record after April 12 (6-7), though they were at .500 as recently as July 26 (51-51). The club reached its high-water mark of 17 games over .500 on August 31 (76-59). Had they been able to flip the September script and win just three more games (15-12 instead of 12-15), the 91 wins would have enable them to tie for the second wild card. The Cardinals announced ticket sales of 3,403,587, ranking second in MLB attendance for the sixth consecutive year. It is the 22nd time (15th consecutive season) that they surpassed three million. Average per game attendance at home was 42,020 per game, a decline of over 500 from the year before. That included 27 sellouts, down from 37 three years before, despite significant ticket discounting. Many noticed an increased number of no-shows in September. Where there were no major areas where St. Louis had a negative split, they were just five games over .500 at Busch Stadium (43-38) and seven games over .500 against teams that finished with a losing record (38-31). They could and should have done better in both areas. Unlike in 2017, when the Cardinals were just 34-42 in the division, they did better in 2018 at 41-35. After two years of being dominated by the Cubs, the Cards won the season series at 10-9, though they lost the crucial two of the last three. St. Louis played division champion Milwaukee even until the final week sweep by the Brewers gave them their second-straight season edge over the Cardinals, 11-8. One of St. Louis’ obvious problems was a 16-16 record against the weakest division in the NL, the East. They dropped season series to Philadelphia and Atlanta and played sub-.500 teams Miami and New York even. The Cards also dropped the season series against San Diego, a team that finished 30 games under .500 in last place in the West. In one-run contests, St. Louis finished at .500 at 22-22 and the same in extra-inning games at 8-8. No edge where they needed one. Pitching continued to lead the way for the Cardinals. While the team ERA was sixth in the league, same as in 2017, the actual ERA itself improved year-to-year from 4.01 to 3.85. St. Louis’ starters ERA of 3.52 was third-best in the NL, a major step forward from the 4.13, sixth-place ranking in 2017. The team’s relief ERA, on the other hand, took a nose dive. The 2018 mark of 4.38 was fourth-worst in the 15-team league, compared to 3.81 in 2017, which was fourth-best. St. Louis’ bullpen WHIP, a surrogate for baserunners allowed, was second-worst in the NL at 1.47 this season. The offense was inconsistent, finishing fifth in the National League in runs scored, up from seventh the year before. In the slash stats, however, the Cardinals were down in all four measures compared to 2017 as a middle-of-the pack unit – just ninth in average (.249), eighth in OBP (.321) and seventh in slugging (.409) and OPS (.730). Their reputation as plodders on the bases is well-deserved with 63 steals (14th in the NL) and nine triples, fewest in MLB. Amazingly, St. Louis had more three-base hits during their one month of spring training than they accumulated over the entire six months of the regular season. The defense committed 10 more errors than the next-worst MLB club and their .978 fielding percentage was also dead-last among the 30 teams. However, new defensive metrics suggest they were much better. In Ultimate Zone Rating/150, the Cards were 12th in MLB at 1.6 and 10th in Defensive Runs Saved (DRS) with 40. Put that all together and the St. Louis Cardinals remained home from the post-season for the third consecutive year, finishing third in the division again and sixth in an NL tournament that allows just five teams to participate. On the positive side, the team showed improved life following the managerial change with a general perception that the young players who fueled the resurgence just ran out of gas in the final month. There is optimism that this core can improve in 2019, but others feel major improvements to the offense, defense and relief pitching will also be needed for the Cardinals to reverse their three-year playoff drought. Link to master article with all 2018 award winners and team recaps for the entire system. This concludes our annual 45-article series recapping the recently-completed season.